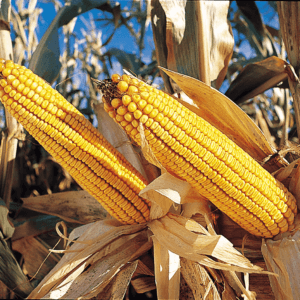 Crops and chemicals: What does the future hold for GMOs and pesticides? Cult of Biodynamics: Future of farming or agrarian organic witchcraft? It’s part farming event, part mystical gathering: the Annual Biodynamic conference, held every year in February, and this year in Switzerland. 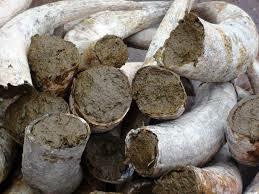 Biodynamics is a spiritual-ethical-ecological approach to agriculture, food production and nutrition. Biodynamics was first developed in the early 1920s based on the spiritual insights and practical suggestions of the Austrian writer, educator and social activist Dr. Rudolf Steiner (1861-1925), whose philosophy is called “anthroposophy.” Today, the biodynamic movement encompasses thousands of successful gardens, farms, vineyards and agricultural operations of all kinds and sizes on all continents, in a wide variety of ecological and economic settings. In other words, it’s the organic movement on steroids—a celebration of all things “natural”—whatever that means—and a rejection of many of the most rudimentary forms of modern agriculture, first and foremost crop biotechnology. It’s also one of the fastest growing ‘back to the farm’ movements in the world, with a growing legion of passionate adherents. 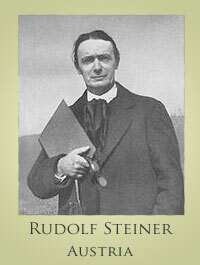 Rudolf Steiner was an Austrian philosopher, playwright and artist who lived between 1861 and 1925. He founded a spiritual movement called Anthroposophy, which works on the basis that children’s creative, spiritual and moral dimensions need as much attention as their intellectual ones. But there is a darkish side to the Steiner movement. Anthroposophy is at heart an esoteric crypto-religious organization based on a mystical and racist view of humanity and an astrological and clairvoyant view of understanding science. Anthroposophy embraces the literal existence of gnomes, that the British Isles floats on the sea, homeopathy works, and burning mice ritually will protect your crops from them. And if you follow this philosophy, you will be reincarnated as a Northern European Ayrian. Last year’s event, in Florence, turned into a media extravaganza, well out of touch with the roots of Steiner’s quack philosophy. Banner headlines in the Corriere della Sera, Italy’s newspaper of record, celebrated the event as an encounter of some of the world’s greatest agricultural experts. The lead article sang paeans to “ethical farming” that would achieve the happy dream of “quality produce and full employment”. But the conference also has a cult like dimension. More than one commentator pointed out that it was a strange mix of the triumphalist and the secretive. While the city’s main square was covered with posters hailing the prodigious achievements of this “new” science of crop cultivation, the actual conference made sure that no dissonant voices were raised (anyone who was suspected of opposing its underlying back-to-nature philosophy was expelled). 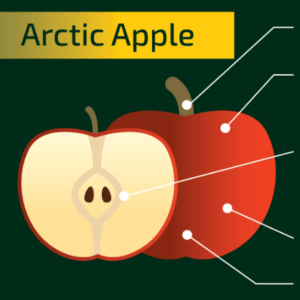 For those who work in the agricultural sector – that is, actual farmers and buyers and sellers of agricultural produce – “biodynamics” is infamous for its oddity. It’s adherents, known as adepts, see the arrival of autumn as the time to set about burying within their fields an animal organ stuffed with rotting plants, leaving it there throughout the winter so that it can absorb the beneficial influences bountifully supplied by the stars in the invernal heavens. When spring arrives, this putrescent mess of animal and vegetable matter is then dug up and scattered over the soil, its prodigious influence apparently being far more efficacious than animal manure or – heaven forbid! – man-made fertilizers. The recipient used to capture these astral energies varies in accordance with the type of crop one hopes to grow. For example, one might use an ox skull, a stag’s bladder (the more elaborately branched the animal’s antlers, the better) or even a horn. Whether this latter should be from the left or right side of the head I am unable to say, though perhaps here one should follow the lead set by the great eighteenth-century Florentine scientist Giovanni Targioni Tozzetti: in discussing similar potions in his own day, he wrily assured readers that “the right horn has the same effects as the left”. As for the choice of plant substances left to rot in this magical container, these too depend upon soil type and future crops. However, dandelion flowers are a big favourite, as is oak bark. Again, only the initiated know which variety of oak to use. Of course, in Italy it is relatively easy to join those happy few, by enrolling in one of the growing number of courses in this “discipline”; in spite of extensive spending cuts in a number of other sectors, regional governments – first and foremost, those in Tuscany and Calabria – seem to find the cash for such essentials. The Florentine coven opened last year with a specially commissioned film on the mortal dangers of genetically-modified crops, put together by a beloved Italian television presenter. Fully conscious of her responsibility, the TV personality in question opted for total objectivity; in pursuit of the truth, the whole truth and nothing but the truth, she even included interviews with representatives of the great seed-producing companies. However, it seems highly improbable that the likes of BASF would allow themselves to be represented by mere lab technicians, and one is therefore led to deduce that footage of interviews with expert geneticists and agronomists ended up on the cutting-room floor. What did survive the editing was a lengthy outburst from a Canadian farmer who had cultivated patented seeds without paying the necessary royalties, then failed to convince the courts that they had simply fallen from the sky into his fields. Such a selective approach to the truth seems to sum up the entire matter, and it might appear useless to dedicate more attention to the Florentine coven. Still, one should point out that biodynamicists fall into two categories. 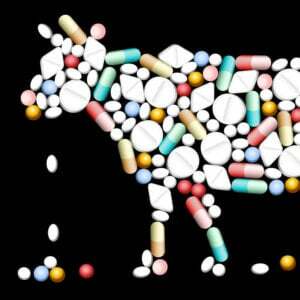 There are the “practical” adepts – that is, those who are more than happy to bury putrefying animal parts in their fields in order to take advantage of the increasing number of subsidies regional governments make available for “ethical agriculture”. Then there are those who are genuine believers in Rudolf Steiner’s “anthroposophy”, a doctrine that is concerned not simply with producing crops imbued with astral powers but with the modeling of humanity. The German was just one of the host of occultists, satanists and charlatans that abounded in a nation which, emerging defeated from the horrors of the First World War, seemed determined to cast itself into the arms of “leader” who was to be served with slavish obedience. Indeed, if Steiner stands out, it is because his work is said to have been much read and appreciated by the future Führer himself. After the Second World War, the remains and catalogues of the library in Hitler’s bunker disappeared into Soviet archives, only becoming available for study with the fall of Communism, and the young American scholar who then examined the material assures me that, whilst no actual works by Steiner are to be found amongst the extant texts, a number of them are dedicated to occultism, satanism and suchlike. As the surviving books are only one part of the dictator’s reading matter, it is more than possible that the shelves with Steiner’s own books went up in flames after a direct hit. True, this is an assumption rather than a certainty. So, in order to examine more fully the issue of the relationship between Nazism and Steiner’s ideas, I submitted myself to the ungrateful task of wading through his entire oeuvre – a strain for even the most patient reader. The German’s output consists of thousands of repetitive pages in which nothing of substance is said, though sometimes one does get vivid accounts of the author’s encounters with what he refers to as either Satan, Lucifer or Harriman (the Persian God of Darkness). To be fair, those meetings are so evocatively described they could well have taken place in the Munich beer cellar where his eager disciple would encourage followers with the words of the German military anthem: “Today Germany is ours; Tomorrow the world”. Amidst the endless ramblings which make encounters with Satan a rare treat, methodical study and patience finally bear fruit, with Steiner giving a clear account of how the world came to be populated. Not that there is any reference to genetics or evolution. Instead, the German claims that the planet initially consisted of a single continent – Atlantis – which then broke up, with the earth’s inhabitants being divided into those who were incarnations of spirits from the Sun, Mercury, Venus, Mars or Jupiter. The differences between each were rigid and insuperable: some of these “races” contained within them the seeds of future development, some did not. It would appear that the more highly developed of them would – for reasons that escape even the most tenacious reader – be receptive to the secrets brought into the world by Christ (though Steiner does not bother to explain what these might be). The less developed “races”, on the other hand, would be bound in permanent servitude to Lucifer, so filled with his evil that they could sometimes burst into flames like matches. These insurmountable differences would remain over the coming millennia, as humankind abandoned the sinking continent to become divided into those who embodied evolved humanity and those who were merely primordial. By this point it is clear that one is reading ideas which must have been music to the ears of ex-corporal Adolf Hitler. And it is no surprise to learn that a number of German studies have argued that the first “biodynamicists” in the history of horticulture were the Lagerkommandant of Nazi concentration camps, who drew the sustenance required for their own übermensch labours from the stellar and planetary powers absorbed via vegetables cultivated by the inferior races whose extermination was their responsibility. So, while it is easy to dismiss the Florence conference as a celebration of peasant witchcraft, one should not overlook the implications of the underlying philosophy behind it. And it is this which makes it all the more amazing not only that the city’s political class seemed to welcome the event (with the essential agreements signed when the present Prime Minister of Italy, Matteo Renzi, was mayor) but that the entire Catholic hierarchy remained silent about this coven of satanists. Even more serious than this apparent complicity of political and religious authorities is the silence of the city’s scientific and cultural circles. After all, Florence was the city of Galileo Galilei, and it was in its laboratories that the man’s first disciples applied his scientific method to the study of plant and animals, opening the way to the modern natural sciences. Particularly disconcerting was the lack of reaction from the Accademia dei Georgofili, one of the oldest centres of agrarian studies in Europe. The first president of that Accademia was the above-mentioned Giovanni Targioni Tozzetti, who would apply Galileo’s method to the study of plant diseases and identify their causes as living microscopic beings. What a difference, therefore, between that veritable forefather of microbiology and his successor, Professor Franco Scaramuzzi, who – prior to his garbled letter of resignation a few months later – would ignore lively, at times heated, encouragements and fail to express a single word of indignation about the coven. Perhaps one should not forget this was the same man that had organized official receptions for a former minister of the Italian government who, faithfully executing the orders of a Communist prime minister, would force Italian geneticists to abandon decades of work on genetically-modified plants. For years cooks, architects, sommeliers, professors of literature and high priests of the “avant-garde” have go on trotting out so-called proofs regarding the dangers of GMOs. 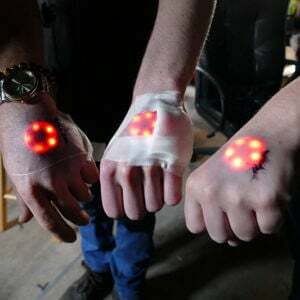 They, at least, may have been relieved to see that the Florence coven provided a further reason for abhorring such innovations, castigating them as the products of a technology which violates the rules of astral influences established by Satan and his ministers. Antonio Saltini, adjunct professor of history at the Faculty of Agriculture at the University of Milan, is author of the four-volume work Storico delle scienze agrarie (History of agrarian sciences in Western civilization).